I live on an acre and love any excuse to be outside and enjoy the space. 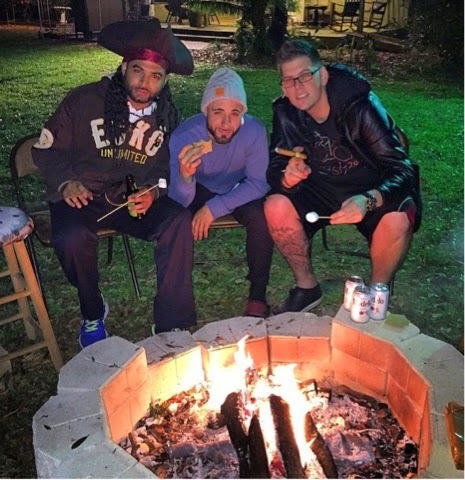 My boyfriend and I wanted to build a bonfire for us and our friends to enjoy smores by the fire. We saw many DIY ideas on Pinterest and decided to give it a try. 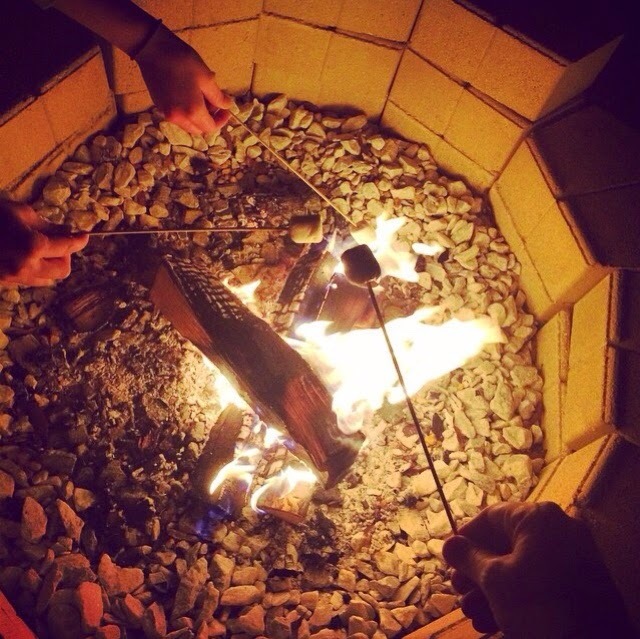 It came out perfect and everyone loves to enjoy time surrounding the fire! We purchased these center blocks from Home Depot for $1.15 a piece. I would say purchase 20-36 depending on the size you want. You can use two rows or three rows. We also purchased a bag of gravel for the bottom of the bonfire. You can make it bigger or smaller depending on the size you are trying to achieve. 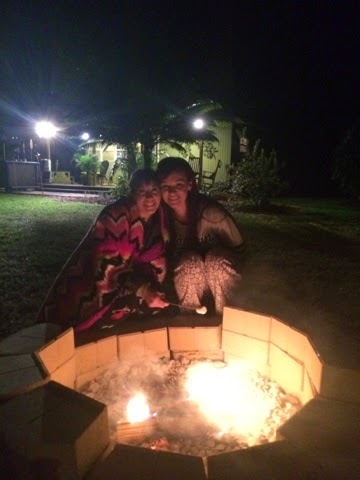 You can purchase a fire pit but they are much more expensive and I like how it was something we made together! Place the center blocks in a circular shape or any shape you want. You can stack them right on top of one another or stager them like you would bricks. We used 12 each row and made two rows. We put 6 more on the top like it shows in the pictures but it is not necessary. 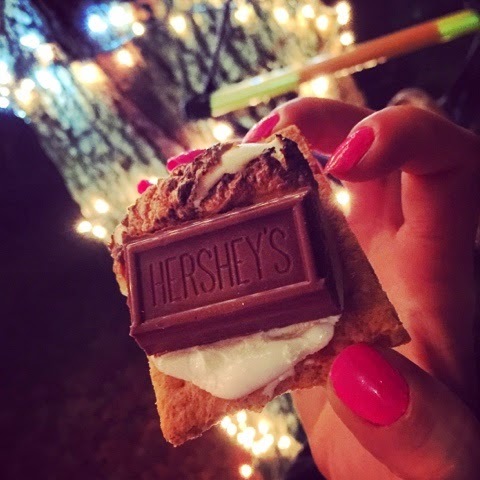 After you put them in place you can fire it up and enjoy time with friends and family and some smores! 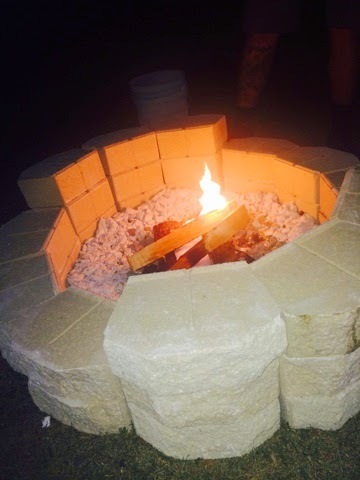 My last post showed how to make a DIY fire pit and thus post will explain how to make benches. 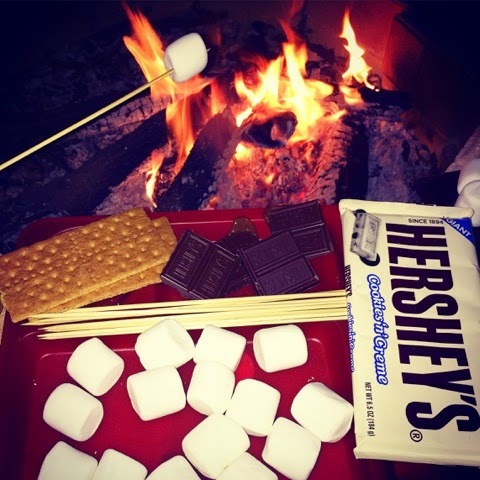 We used our around our fire pit but you can use them anywhere you wish. I have been seeing a lot of vertical gardens and thought it would be nice to create one myself! This looks great in my yard and I have started to grow my own vegetables and herbs that I can use for cooking! I got my pallets from Walmart and Home Depot. They place their unused pallets behind the store. I asked them if I could purchase some and they said they are free. I am not sure if certain stores have different policies or not. I have also heard you can get them at Whole Foods. I bought a cheap can of paint and they mixed the color of my choice. I thought teal would be a nice color. didn't get any special paint because they are going to be outside. Any indoor/outdoor paint will be fine. The full gallon cost $15 but I believe for the 3 pallets I could have gotten away with half a gallon. In order to create a pocket for the plants I used cardboard and mesh material. Do this before painting. You cut the cardboard in a rectangular shape the size of the space in the pallets. Using the mesh you staple it on the outside on the back and the front. This creates a holder for the plants. This close up shows the mesh in the front stapled. The cardboard is then placed on top of the mesh in the middle as a base to hold the plants. I did not use the mesh or cardboard on the bottom section and just planted those plants in the ground. 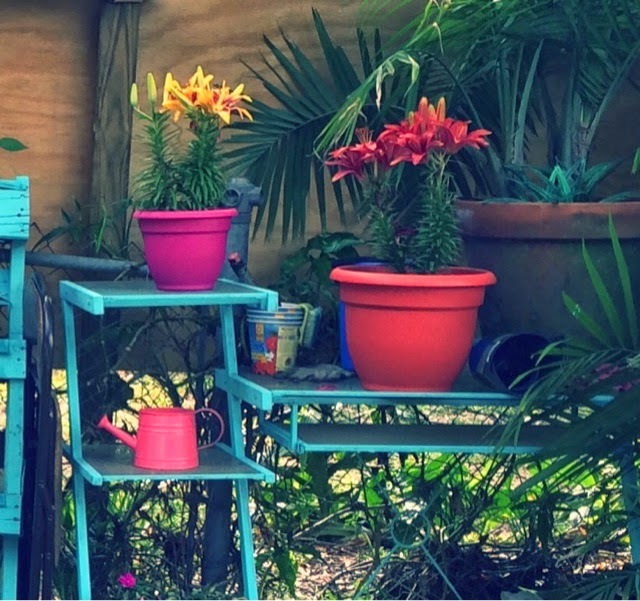 You need to be sure to buy plants that can be planted in a depth of 3 to 4 inches. Most plants have the depth labels on them. I painted them after I finished attaching the cardboard and mesh and then plants the plants last. 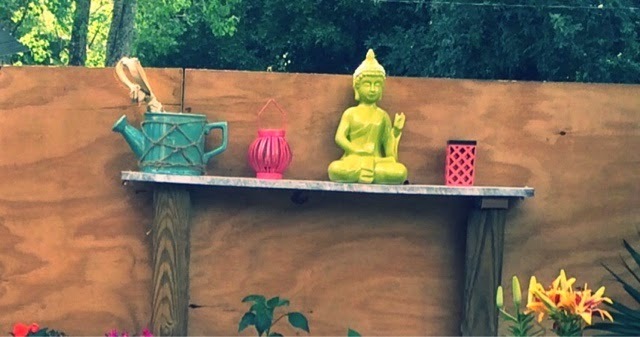 I had an old desk that I also painted to sit other plants on top to add to my garden. Last thing I did was buy little accessories to add pops of color. This is a fun project and it turned out beautiful. 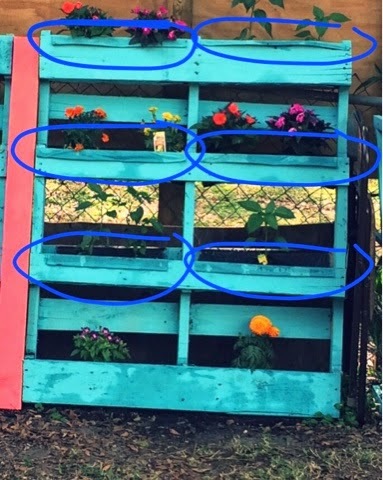 I hope you enjoy your pallet garden as much as I enjoy mine!